Interested to work for distress humanity. For their development and growth. Anwarul Wadud updated their profile information. Anwarul Wadud created the update Legal Aid System in Bangladesh. 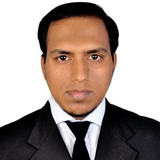 Anwarul Wadud changed their profile image.